Retail has always been a numbers game. Metrics, KPIs, business intelligence, Big Data — you can’t escape the math if you expect to be profitable. The difference today is the massive amount of data available and variety of sources feeding the data machine. We’ve migrated from simply pulling numbers from our cash registers at the end of the day to cash registers, credit card processors, e-commerce sites, social media, email marketing, loyalty programs, and rewards cards all simultaneously making database deposits. Consumers used to be one-dimensional numbers on a page. Big Data analytics, the use of all those rich data sources, merged together, has turned the consumer into a “four-dimensional” individual — purchase history, brand engagement, demographic info, lifestyle preferences — with specific buying habits and shopping preferences, as well as loads of expectations. Another shift this huge data dump has initiated is trickle down data. The onus has been taken away from data scientists in think tanks and put into the hands of everyone in the org chart from the CEO to the part-time sales associate because of new technology that can aggregate information and churn out a customized, comprehensible report. Executive Level: Data reveals what people are buying. Retailers can move past relying on instinct and base purchasing and pricing decisions on the cold, hard facts. Moreover, predictive analytics provides retailers with the means to more accurately project trends and consumer sentiment resulting in more closely meeting demand, reducing overstocks and waste, and increasing profits. Data analysis has benefits beyond sales and customer engagement as well. Analyzing operational data will make you smarter about scheduling labor and store hours, the timing of capital expenditures, and changes you need to make to reach business goals. Marketing: Data analytics lets you create a total picture of your customers — from what they browsed online to what they bought in the store, the offers they redeemed, their social media activity, and even the times of year that are more likely to buy. With this information, your marketing team can make relevant offers — personalized and targeted — that have a higher chance of resulting in sales. You can also leverage data analysis for intelligence that lets you build a loyalty program that makes customers want to opt in and keep shopping to earn rewards. Merchandising: With a choice of how to display merchandise, data can be your guide to what should go where. Use insights from data to optimize your merchandise mix, displaying items based on demand and store traffic patterns. It can also help you make smart decisions about displaying merchandise in enticing ways to sell even more hot items and make customers take a second look at slower-moving products. Loss Prevention: Data analysis sheds light on the dark subject of retail shrinkage and also helps identify the culprits. Leverage data to determine which store locations or areas are your biggest sources of shrinkage and take measures to shore up loss prevention strategies. Data can also show inconsistencies that point to employee theft or supplier fraud. Sales Associates: When a customer asks, data can provide the answer. Sales associates benefit from having access to product databases and inventory systems, but also information on individual customers mined from the data sources available to you. Your sales associates should turn to data to make relevant upsell and cross-sell offers and deliver all-around satisfying, personalized customer experiences. Data analysis is now a retail staple, but don’t limit data analysis reports only for management. The insights data analysis can provide are valuable to all members of your team and can clue them in when processes or strategies need to change. Merchants that are able to train their staffs to make data-based decisions will position themselves well to stay competitive and weather change. 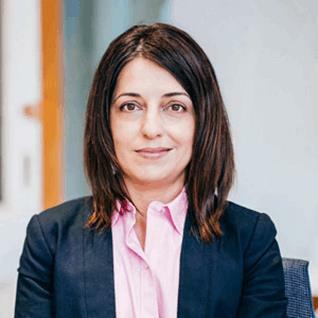 Senior Vice President of Sales for Asia Pacific and the Americas for CitiXsys, Paula Da Silva has more than 10 years’ experience in the retail industry associated with delivering innovative software solutions to mid and large sized retailers. Known for her strong track record of operational excellence and managing a global ecosystem of technology partners, Paula has been instrumental in building the iVend Retail.